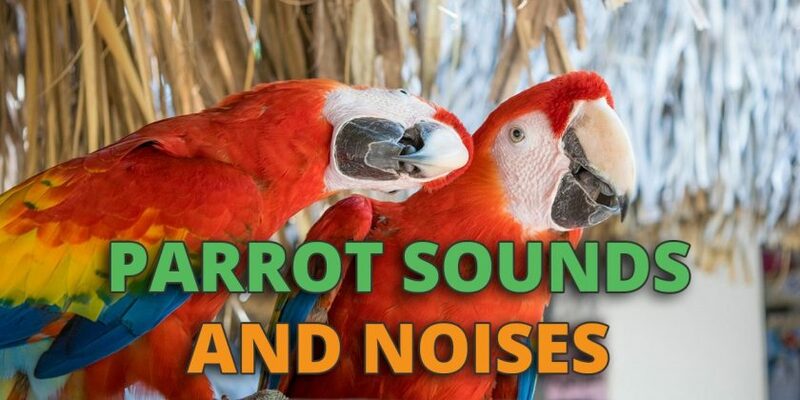 While many of the sounds and noises that your bird makes are based on their species, there are some common traits among parrots regarding the types of sounds they choose to make. There are also individually distinguishing sounds that a bird makes that are slightly different from others of its species. Parrot owners have certainly realized that their birds deliver certain vocalizations in response to various situations. An affectionate, purring noise may be noticed when you are handling your bird and scratching its head. Loud and jarring alarm calls are typical of parrots that are startled or frightened. You might hear your bird grinding its beak, chirping or clicking among other sounds. All parrots have a contact call, by which they locate their avian and human family members. Listen for it next time you leave their room after being there for a while. You can learn a reply that may not be perfect but will be your contact call to your pet and satisfy their calls to you. Let’s look a little deeper into the noises and sounds that parrots make. These vocalizations are usually associated with territorial disputes and in attracting mates. In general, these are complex and beautiful vocalizations, though they may include harsh and short sounds as well. All vocalizations that are not songs. Typically harsher and less complex than songs, they can still sound pleasant to the human ear. This includes all other sounds that a bird may make. Examples are parrots crunching seeds, woodpeckers drumming trees, and characteristic wing sounds. In some cases, it is very hard to distinguish the difference between calls and songs as they can share features in certain species. One of the qualities that people admire in parrots is their ability to mimic human language. They can produce lower pitched songs than smaller birds that are more in line with the sounds of human speech. Unlike other birds and animals, parrots learn many of their vocalizations rather than having them genetically hardwired in their DNA. For example, in the video below you can see an African Grey imitating many sounds. 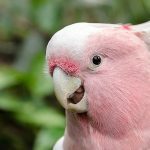 According to an article on scientificamerican.com, there are benefits that parrots accrue from employing the practice of learning songs and calls. There are differences in how and what the birds mimic. Pet birds in captivity will learn calls from their adoptive family members. In the wild, some species such as the African Grey imitate calls of other bird species. Amazon parrots, on the other hand, tend to stay within their species when seeking calls to imitate. An advantage of learning rather than inherited vocalizations is the ability to develop context-specific calls. Imitation is also an indicator of good hearing, memory, and sound producing muscle control that may be used to attract a mate or recruit an ally. A result of vocal imitation is the rise of local dialects which allow groups within species to identify members of their particular group from the general population. Studies have shown that birds react more strongly to their local dialect. Budgies have been observed using call similarity in judging the worthiness of potential mates. Now we will look at some specific sounds and noises that your parrot may make, and try to determine their meaning. According to an article at lafeber.com, you can group your bird’s sounds into three groups based on what they tell us about the bird’s current emotional state. Birds will not generally talk if they are stressed or unhappy. Though their singing may not be the most pleasant sound to human ears, a singing bird is a happy bird. This is another vocalization that indicates that your bird is happy and content. When your bird exhibits this behavior it may be entertaining itself or trying to get your attention, perhaps wishing to be handled. Your bird will make these types of sounds when they are feeling secure and content. In the video below you can see an example of a budgie demonstrating such beak grinding. These sounds can be a sign of contentment or annoyance and are best understood in the context of the bird’s environment and body language. Accompanied by dilated pupils, this sound is a sign of aggression. Sounds that your bird has learned through observation are considered neutral. For example, your bird is not laughing because it thinks something is funny, but rather it has learned to associate a certain activity in its environment with that particular sound. The lack of sound can have various meanings. It can indicate your bird is not feeling well, is just taking a nap, or is working hard on taking apart a toy or a piece of your furniture. Sharp, repeated clicking the beak indicates that your bird is protecting an object or feels threatened. It is often accompanied by neck stretching. Caution is advised at this time, as your bird may be poised to deliver a bite. Often loud, shrill and rapidly repeated, these calls are produced when the bird is startled or frightened. In African Grey parrots, the alarm call takes the form of a very loud growl. These are related to alarm calls but can be associated with behavioral or environmental issues that your bird is experiencing. They may be bored and be trying to amuse themselves or be seeking interaction with their human companions. Take care not to get into the habit of running to your parrot every time it screams or it will soon learn that this is the best way to get your attention. 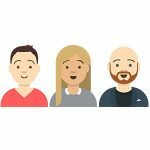 See here for a more detailed guide on how to prevent this. Parrots are intelligent and complex creatures that display a wide variety of vocalizations and have the facility to learn and employ new ones. Paying attention to the types of sounds your bird is making and understanding what they mean will enhance your relationship with your pet parrot. To stop parrot screaming please see our separate guide here. Thank you for the info very interesting, we have 2 blue fronted Amazon’s 2 year old male and 3 year old female who seem to be getting on very well, but I suppose there will be time that We have to be watching for especially the mating time of the year, but not sure what We need to be looking for, would be grateful for any info regarding this. Thanks for the article, Jack. I have a conure, specifically an Eupsittula Nana. Sometimes, she does a single vocalization, high-pitched due her small size, and her eyes pin. Sometimes, she also stretches her neck. Do you know what would it be mean? It’s hard to tell without seeing or hearing your bird in person but most likely this is a happy response to something that is occuring in your environment.